Please get in touch if you would like to know more about booking at one of our fairs. 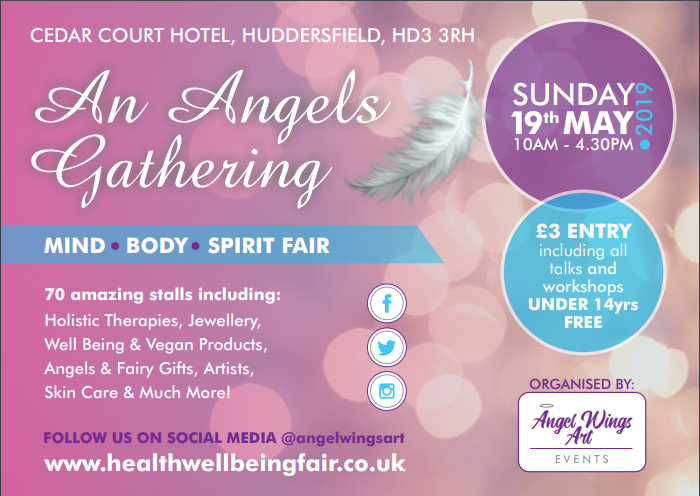 We are currently Fully Booked with exception to An Angel's Gathering (only 4 spaces left) and Demonstrators/Classes. However we do hold a waiting list and should a place become available we contact those to offer the place first. Each venue is unique in layout and we give total commitment to each fair as it approaches. We adjust the website as appropriate and focus on those exhibitors that have booked for the up coming event. We select quality and individual stalls so as not to have crossover or have too many similar products. Allowing the visitors a good selection and the exhibitors less competition. On the booking form there is a section for details of your business and this MUST be completed as fully as possible. Any deviation or added extras may result in a request to remove them on the day. Our fairs are lively, busy and can be noisy at times. They are about mingling, learning, discovering and sharing. 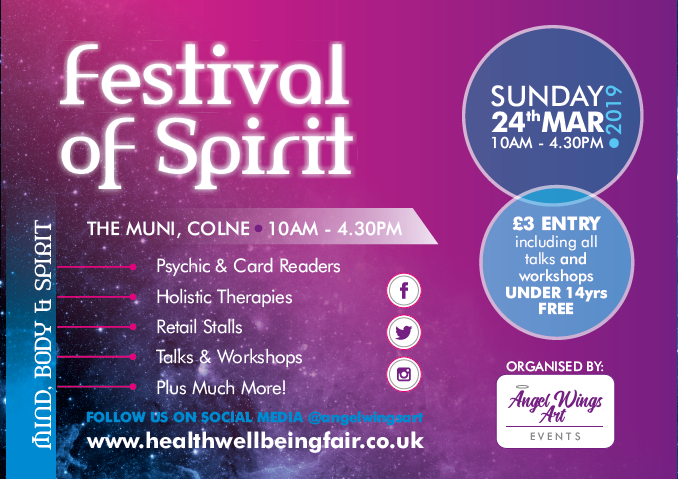 If you require a quiet space or additional music please ask as this may be possible when organising stand positions. An alternative is personal headsets that some therapists are now using to give the client a completely relaxed environment. They are also family events so expect little fairies and pixies! Entertainment and activities are provided however they may be in attendance at readings etc. This is unusual for most mbs fairs however I would like them to feel included and able to join in the developing and learning process. There is an exception to this at Holistic Therapy Day due it being more relaxed and about learning/developing oneself. There will be no fairy entertainment at this event. Exhibitors will not be confirmed until full payment has been received. I will always give a deadline (approx 6 weeks before) and if payment is not received then the stand will pass on to the next appropriate person on the waiting list. This decision is final and ensures that spaces are filled, advertised and allocated way before the event date. If you feel you would like to take part and join in one of my fairs then please get in touch by using the form below. I will get back to you with more details, terms & conditions, booking form, payment details and advertising material. It is important as an exhibitor to share the event and what you will be doing. Letting people know you are there, what they can gain from coming to see you, retail items or pre-booking opportunities increases footfall. I will also send by post a set of flyers and business cards, and posters if requested, for you to distribute. By returning the booking form you are agreeing to the terms and conditions. Please read them carefully and if you have any questions please do not hesitate to get in touch. Best Wishes, Jayne & Adam. This website and its content is copyright of Angel Wings Art® 2011-19. All rights reserved.